Is your sales effort consistent, but not nagging? Are you making use of your current CRM? 1.1 Whatever business you are in, is really a “marketing business.” As an entrepreneur and mentor to many executives, I have been through book after book and workshops and absolutely nothing comes close to the program I have carefully set up for you on mastering guerrilla marketing for higher leads, higher sales conversion rates and client retention. I learnt these tools from Low Budget Selling that Works training. I am happy to have made the investment. You too, will. 1.2 The Way of The Guerrilla Marketing Course will help you and your sales people pick up all the sales and profits most insurance agents and salespeople leave on the table. 1.3 It does not matter your current job description, if you are unable to generate new sales, you are in a wrong business. Just like all business, insurance is a business of new clients and keeping old ones. In this training, Mustapha Barnabas Mugisa will discuss proven strategies to get new customers even on a shoe string budget. After all, you don’t have to spend a fortune to sale! Please note that each day is a one session. You have an option of doing the course in three days. Day 7 – Exponentially Increase your Impact & New Leads By Using Fusion Marketing (we shall explore how to do so). 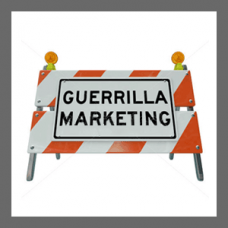 Day 11- Guerrilla Marketing Plan and attack strategy.